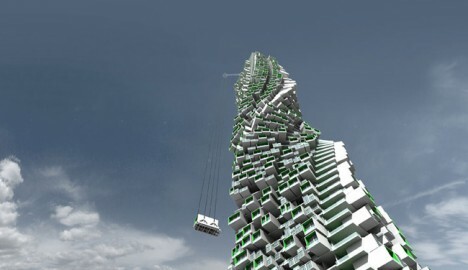 A 75-story building made up of custom-designed concrete modular units twists up into the sky above Hong Kong in this architecture concept from Y Design Office. 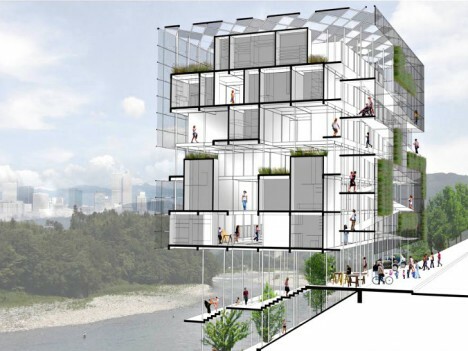 The idea is a mix-and-match high-rise ‘vertical neighborhood’ made up of 1,960 residential units that can be rearranged every five years; the units range from size XS to XL with features that vary according to the owners’ needs. Each module can be plugged in and removed easily, changing up the view. Designed for the banks of the Platte River in Denver, Colorado, Micro Urban is a concept for an affordable housing project made up of plug-and-play modular units. 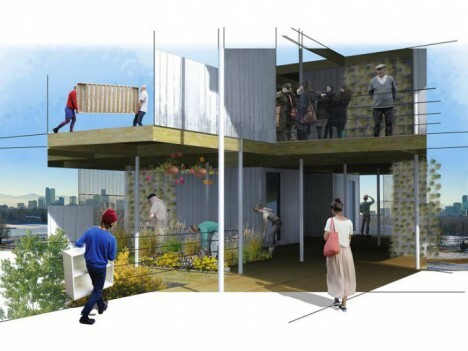 The self-sustainable housing project incorporates rainwater collection, solar power and the use of local resources to truly integrate into the surrounding community while remaining flexible to the changing environment and needs of its residents. Buckminster Fuller’s Triton City was perhaps the original example of a modular city concept. 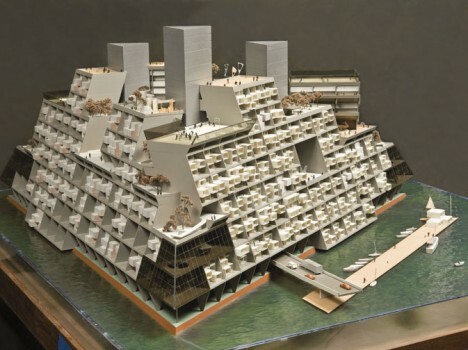 The tetrahedronal floating city was envisioned for Tokyo Bay in the 1960s, with individual garden homes inserted into the terraced main structure, and was technologically feasible even at the time that it was designed. 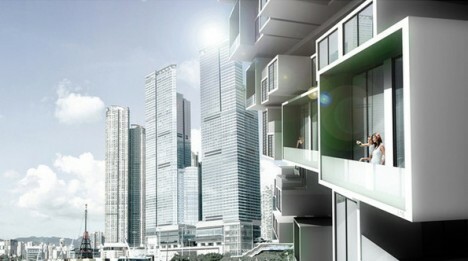 The idea could be adapted for large sea-adjacent cities like Singapore, Shanghai or Abu Dhabi, which have burgeoning populations and not enough land to build on.